Abstract: With the development of distributed energy resources and power electronics technologies, DC distribution becomes a competitive alternative to conventional AC distribution. DC distribution has been applied to marine shipboard power systems, including naval shipboard power system. Other DC distribution applications include collection systems of renewable generation, industrial plants, data centers, buildings, and utility distribution systems. DC protection is one important aspect of DC distribution system design. It should be considered from the initial design stage in order to achieve overall low cost, high reliability, and high efficiency. DC protection is developed based on the DC system and its fault features. Different solutions use different protective devices, such as DC circuit breakers and converters. Different solutions also require different protection coordination methods based on local measurements or communication. Fast fault interruption is essential and critical to DC distribution protection. 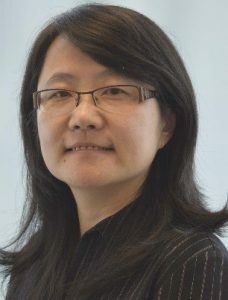 Bio: Lisa Qi received the bachelor’s degree from Xi’an Jiaotong University, Xi’an, China, the master’s degree from Zhejiang University, Hangzhou, China, and the Ph.D. degree from Texas A&M University, College Station, TX, USA. All are in electrical engineering. Dr. Qi was a research faculty at Florida State University, Tallahassee, FL, USA, from 2004 to 2009. She joined ABB in Raleigh, NC in 2009 and currently is a Senior Principal Scientist at U.S. Corporate Research Center. Interested in giving a seminar? Contact Professor Namrata Vaswani. Announcements and publicity by Kristin Clague, and scheduling by the department secretary.